Dr. Suhas Patil is an entrepreneur and philanthropist. He founded Cirrus Logic, a fabless semiconductor company, taking it public. He and Mrs. Jayashree Patil have been active in supporting community activities both in India and in the United States. 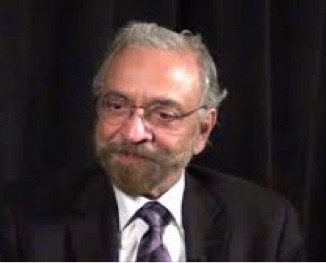 Patil co-founded the global not for profit organization, the TiE – The IndUS Entrepreneurs in 1992, together with successful entrepreneurs and businessmen of Indian origin in Silicon Valley for nurturing and mentoring entrepreneurs and young companies, serving as TiE’s first president. As a gift to the Massachusetts Institute of Technology, Patil awarded $1.5 million for the construction of the Suhas and Jayashree Patil Conference Center at the MIT Stata Center. He also served on the boards of The Tech Museum and the World Affairs Council of Northern California.